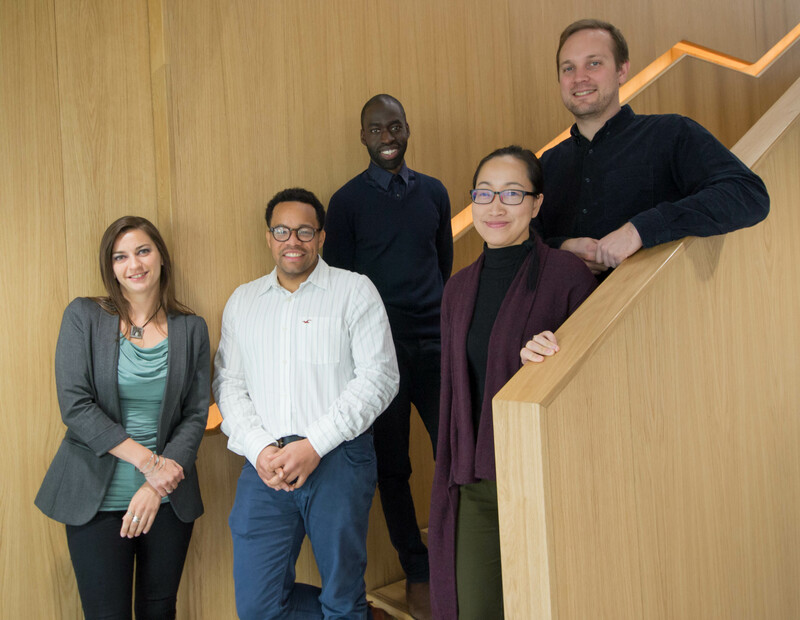 Coinciding with moving to our new studios at 40 Norman Road, we are delighted to announce that Ewa Elder has been appointed as an Architectural Director at the practice, and Richard Knight, Sun-Mee Ban and Peter Sofoluke have also been promoted to Architectural Associates. In addition, Israel George, who leads our Business Development and Marketing team has been appointed as an Associate. These changes reflect the recognition of the design quality and capability across the practice as we continue to strive to create exemplary new homes and places in the communities where we work. We would like to congratulate Ewa, Richard, Sun-Mee, Peter and Israel on their appointments and thank them for all of their hard work and dedication to the practice. Image left to right: Ewa Elder, Israel George, Peter Sofoluke, Sun-Mee Ban and Richard Knight.